In this Chapter, we will discuss backups which is a process of saving data that can be over a network or a computer. The main purpose is to recover the lost data from an unpredictable event like deletion by mistake or file corruption which in many cases is caused by a virus. An example is Ransomware, which encrypts all your data when your computer gets infected and the second is to roll back the data at a specific time you want. This is a scenario that happens often in companies which have applications and databases and they want to test their applications with a specific version of data. How is this Process Managed at Big Companies? It is suggested that in bigger companies which have a large volume of data, it is necessary to have a backup administrator, which is one of the most trusted persons in the company because he has access to all the data of that organization and generally deals with the backup routine check and the health of the backup. CD and DVD, Blue-Rays − They are used for home/personal usage where people can store their documents, mainly personal or office related documents because they have small capacities varying from 750MB to 50GB. Removable Devices − They are again for home usage (data, documents, music, photos, movies) which can be a Removable USB or external hard disks. Their capacities lately have increased a lot, they vary from 2 GB to 2 TB. 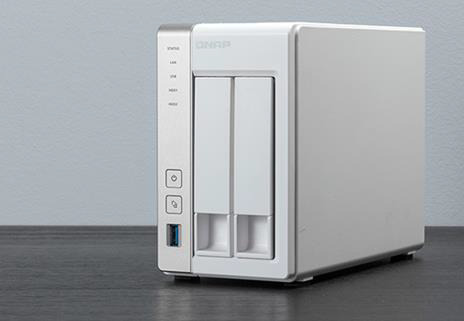 Network attached storage (NAS) − They are generally devices that are used in small businesses for backup purposes because they offer a centralized manner of backup. All the users can connect through the network to access this device and save data. They are lesser in cost when compared to other solutions and they also offer a good fault tolerance as they are configured in RAID (redundant array of independent disks). They can be rack or non-rack mounted. 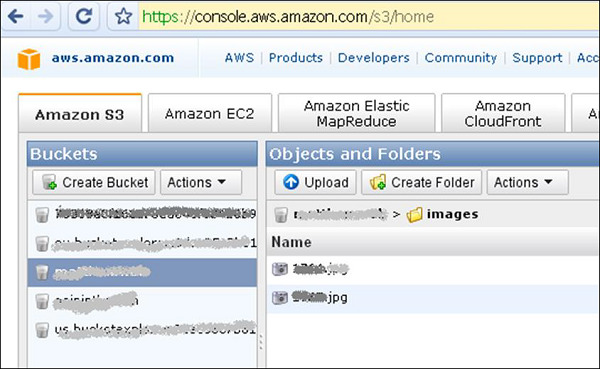 They offer a good level of authentication of users and web console managing. 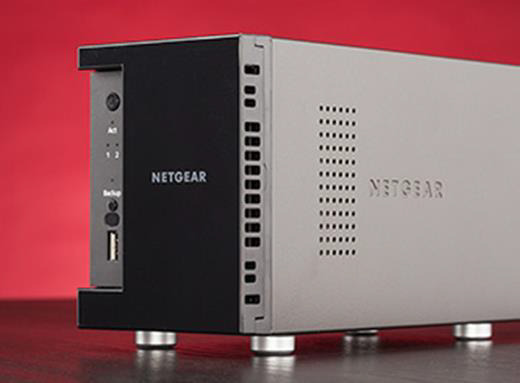 Storage Area Network (SAN) − These are generally devices that are used for big businesses for backup purposes. They offer a high speed of network for storage the biggest producers are EMC Corporation, DELL. The types of backup can vary on the size of the business, budget and the data importance. Generally local backups store the data in a CD, NA Storages, etc. as there can be a simple copying of files or by using any third party software. 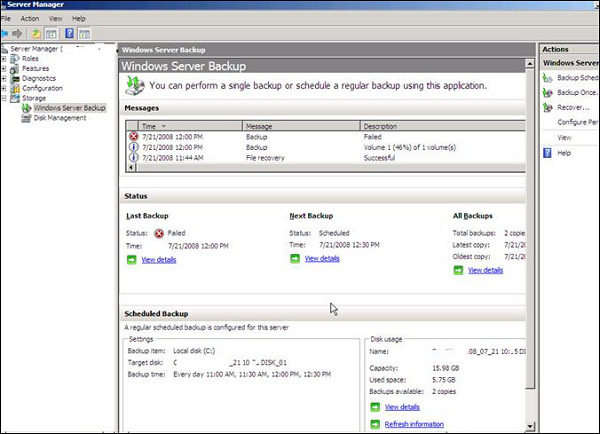 One of them in the server is the Windows backup which is included in the Windows Server Edition License. One of the biggest trend is online storage where the companies and users can store their data somewhere in the cloud, and it is cheaper as well rather than doing it all by yourself. There is also no need for any backup infrastructure and maintenance. For a personal user it is offered for free by the biggest vendors like Microsoft. It offers OneDrive and you can store up to 5GB in their cloud and it has an interface for different Operating Systems. The second is the Google Drive, which is a product by google, wherein the files synchronizes automatically. The full list can be seen in PCMagazine − http://www.pcmag.com/article2/0,2817,2413556,00.asp#. For small or big companies, mentioned before, online or cloud backup solution are a good solution for them because of the cost and the liability. 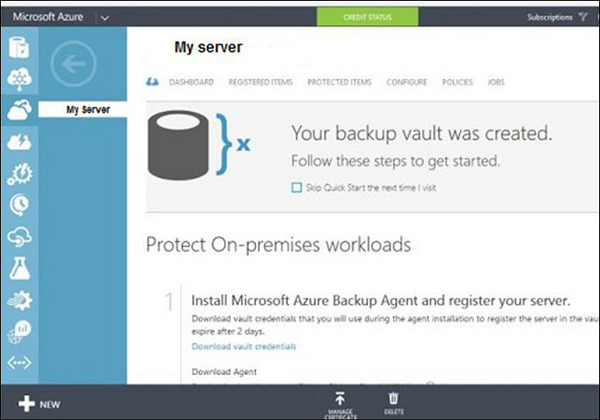 The biggest vendors offering such service are Microsoft with AZURE solution − https://azure.microsoft.com/en-us/documentation/scenarios/storage-backup-recovery/ which is offering a very high performance and scalability for this solution.